Watch the mail for your official invitation, my friends, because Meghan Markle and Prince Harry have set an official date for their wedding: May 19, 2018. Ahhh!! A May wedding in London—so nice! Sunny, blue skies. A hint of breeze. Lush English flowers and whatnot. And May 18th! An auspicious day (maybe). 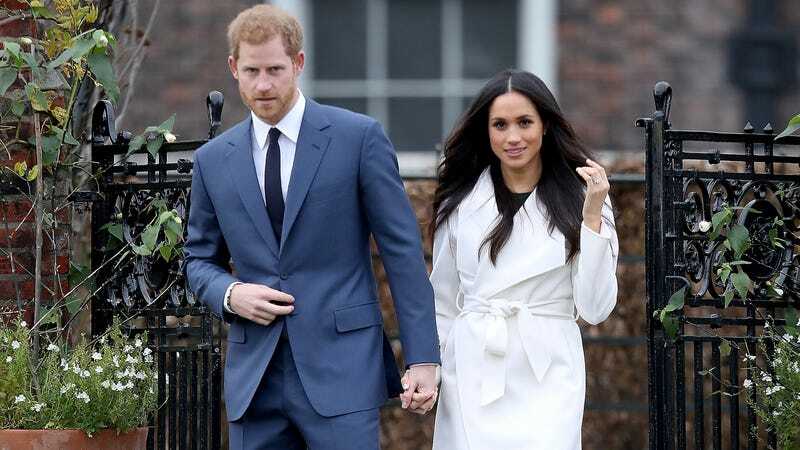 The Guardian reports that their forthcoming nuptials break with tradition, as most royal weddings take place on weekdays. May 18 is a Saturday, which is a perfectly normal and reasonable day for someone to get married, especially if you’re flying to London from the United States and would prefer not to burn through all of your vacation days in one go. In other royals-tradition-breaking news, Markle is also spending Christmas at Sandringham, the Queen’s private country estate—also known as the giant home where Claire Foy in The Crown retires with her Corgis and her infinite sadness about Prince Philip being a dong. The invite for Markle is the first for any royal fianceé—“an invitation not extended to the Duchess of Cambridge until after marriage,” the Guardian sniffs. Kate was probably thrilled to not be invited then, but I don’t know her life! Meghan, I’m sure, is ready to smile and nod, pet a dog, sit by a crackling fire and go for a very long and brisk Christmas Day walk, clad in a Barbour coat and wellies. Moving right along—May 19, despite being a Saturday, is a great day! It’s also the day Ann Boleyn was executed for alleged adultery in 1536. Just a fun royals fact! A cute thing to tell the grandkids one day! I thought I’d tire of royal wedding everything, but truly, I cannot get enough.